The clothing and ethnic identity of the Tianba Nosu is similar to the Yinuo Nosu, but the two groups speak different languages and mutual communication is difficult. 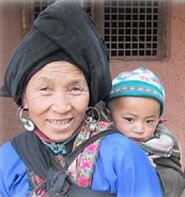 The Tianba Nosu are part of the Yi nationality. Violent conflict, intertribal and interclan warfare, and the taking of slaves were commonplace among the various branches of the Nosu until recently. When preparing for war, clear rules were followed by the Tianba Nosu. These included "sending out a wooden tablet calling on all members of the clan, its tenants, serfs, and slaves to assemble; each family would assent by making a mark on the tablet; tallying the marks would indicate how large a fighting force might be expected. War costumes were extremely colorful: some wore hats of woven bamboo covered with white cloth, thin woolen felts and yellow satin, with animal hair that would wave in the wind; they would carefully prepare their hair, interweaving it with a strip of cloth and tying it into a horn just above the forehead; some would cap this with a sheep horn wrapped in colorful silk and red pompons. ... The Yi [Nosu] would run forward, shout out their names, and challenge their enemies to fight. The War songs were equally aweinspiring: 'We are the famous Black Nosu! We are the tigers who eat up human flesh! We are the butchers who skin people alive! We are the supermen!'" The Tianba Nosu have been influenced by Chinese culture more than the other Nosu groups in Sichuan, although they still retain their traditional dress and most of their ceremonies and customs. The religious world of the Tianba Nosu is a complicated mixture of polytheism, animism, and ancestor worship. Because of Chinese influence, elements of Buddhism and Daoism are also present. There are no known Christian believers among the Tianba Nosu today. Catholic Father Baptistin Biron worked at Mabian, on the edge of the Tianba Nosu, in the early 1930s. "All seemed to be in place and orderly, with every necessary precaution taken. But then a few Lolos [Nosu], controlled by another chief, possibly irked that Biron had not come to live in his territory, argued with the priest and killed him ... a victim of the savage Lolos." View Nosu, Tianba in all countries. 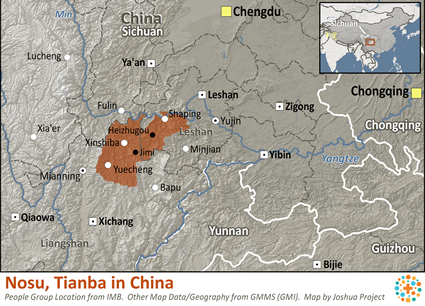 Location in Country: More than 80,000 speakers of the Tianba Nosu language live in southern Sichuan Province. The Tianba Nosu are the northernmost Yi group in China. They live at the northern end of the Daliangshan Mountains, primarily in Ganluo, Yuexi, and Ebian counties. Smaller numbers of Tianba Nosu live in Hanyuan County. 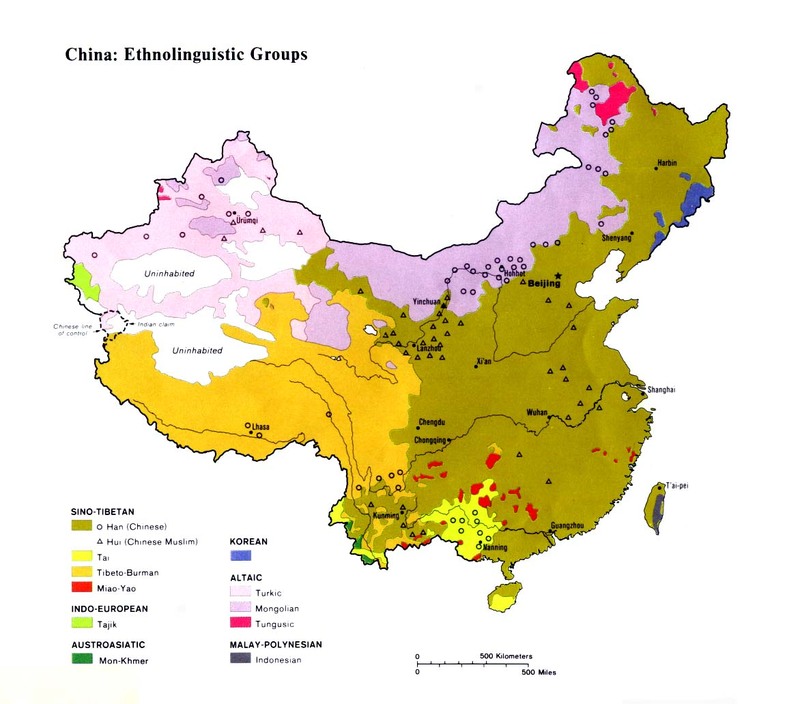 Their territory stops at the central Sichuan plain where the population is completely Han Chinese.